Picture this: Flowers blooming at your perfect garden wedding. Or perhaps the rich orange color streaking the sky during a stunning island sunset. 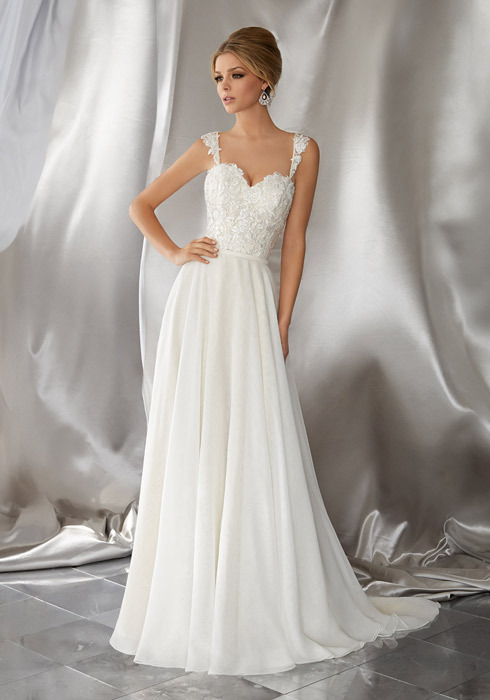 And you, dressed in your dream gown from the Voyag� Collection. Some brides think the bigger dress is the better dress. But for some of us, we know less can be more. Whether you're heading down south for your nuptials or just hoping to be a bohemian beauty, the Voyag� Collection is for the bride who is looking for that ideal relaxed fit. Using lighter materials like chiffon and organza, these dreamy ethereal confections will capture that informal look you are hoping for. 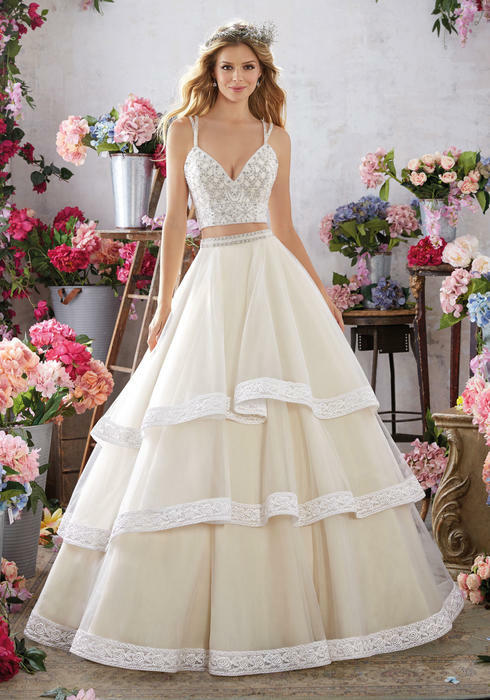 From the shorter tea-length tulle skirts to the slender beaded bodices, any dress from this collection with certainly be a treat for the eyes. 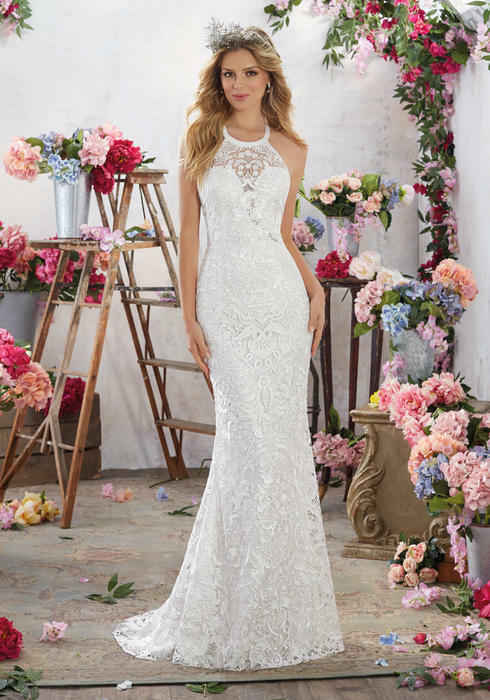 From free flowing A-line gowns to a two piece bodice and skirt combination, Madeline Gardner's incredible design experience ensures your dress will be an expert fit. With so much delicate detail going into every wedding dress, there's no doubt that you will be a beautiful bride. Remember that life is about the journey not just the destination. Start off the very first part of your adventure with the Voyage Collection.